The HTC One page just went live at t-mobile.com, so if you've been lusting after what David called the most important phone of 2013 (read his review to understand the reasoning behind such a bold statement), you can finally secure the Glacial Silver version online. 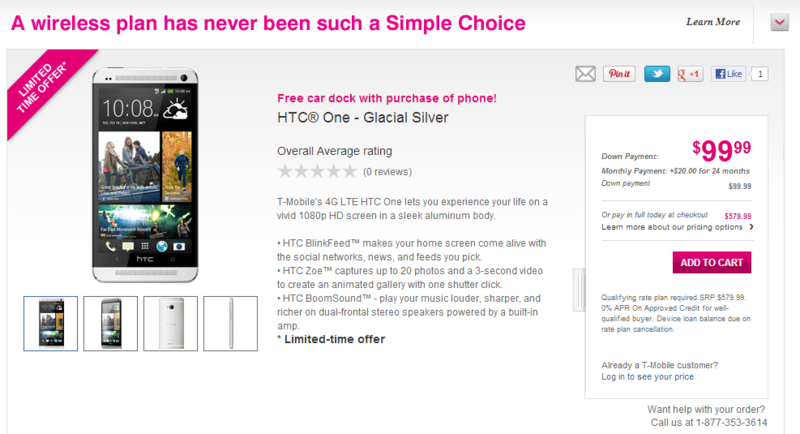 It doesn't look like the Stealth Black variant is up yet if you were looking for one of those, but on the upside T-Mobile is throwing in a free car dock with the purchase. Not a bad deal. 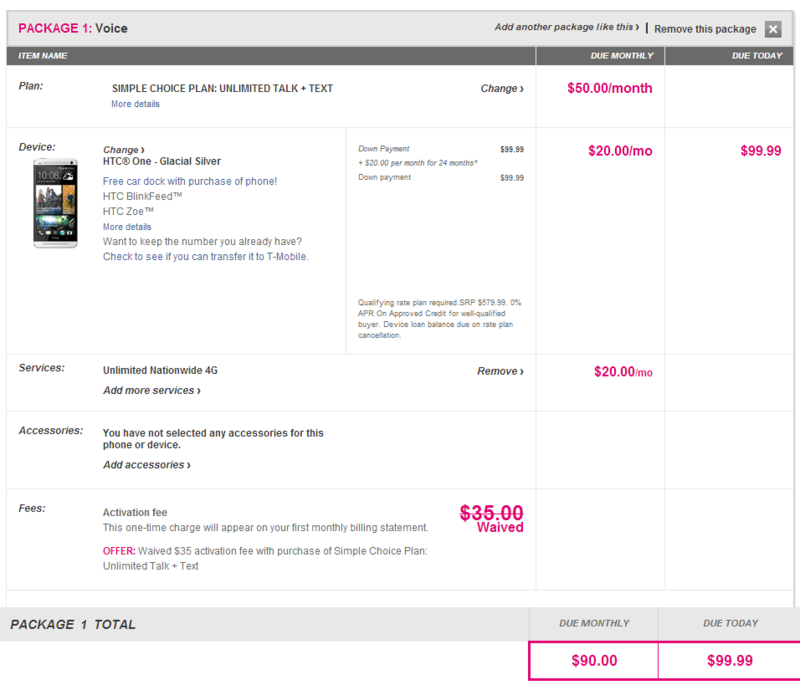 With the new Simple Choice plans, the One will run you $99.99 out of pocket with extra $20/month for 24 months or $579.99 outright. Thus if you use monthly installments, you're effectively getting an interest-free loan from the company ($99.99 + 24*$20 = $579.99). 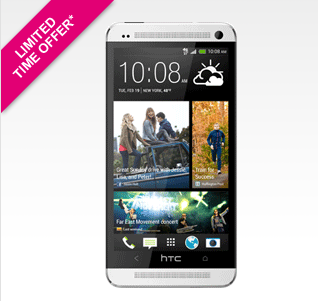 T-Mobile's HTC One packs 32GB of internal storage - if you remember, the 64GB version is reserved exclusively for AT&T in the States, at least for now. Update: T-Mobile emailed in to confirm that the One is indeed available immediately and is not a pre-order online. However, it's coming to stores on the 24th. That settles it.